The AHRQ Health Literacy Universal Precautions Toolkit is based on the principles of universal precautions, or specific actions that providers can take to make health information more understandable for all patients. It is designed to be used by all levels of staff in practices providing primary care for adults and/or pediatric patients. Consumer Assessment of Healthcare Providers and Systems (CAHPS) Item Set for Addressing Health Literacy. The primary goal of this survey is to measure, from the patients' perspective, how well health information is communicated to them by health care professionals. A workgroup of the Institute of Medicine Roundtable on Health Literacy has developed a discussion paper that identifies ten attributes of a health literate organization. The brief paper articulates a rationale for these attributes, identifies the organizations that should use them, and lists resources. The Communication Climate Assessment Toolkit (C-CAT) is a comprehensive assessment of a hospital or clinic’s policies, practices, and culture to identify gaps and opportunities for improvement in patient-centered communication. The C•CAT helps organizations (1) assess and ensure compliance with accreditation and regulatory requirements, (2) benchmark and target communication interventions to reduce costly readmissions and (3) target quality improvement resources. 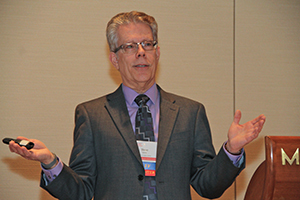 Wisconsin Health Literacy is an AMA-certified provider of C-Cat assessments. Request further information. This guide was developed by Rima E. Rudd and Jennie E. Anderson (Health Literacy Studies, Harvard School of Public Health, National Center for the Study of Adult Learning and Literacy) to help hospitals and health systems address health literacy throughout their organization. How Well Do Your Patients Understand? 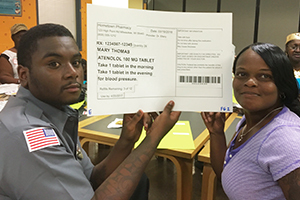 Improving the Health Literacy Environment for Hospitals is a project report outlining the results of a collaboration between adult literacy students and health care providers, in an effort to evaluate and improve the hospital's health literacy environment. Improving the Health Literacy Environment of Hospitals: A Collaborative Guide for Literacy Organizations is a project report outlining the results of a collaboration between adult literacy students and health care providers, in an effort to evaluate and improve the hospital's health literacy environment. 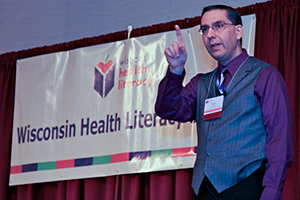 This toolkit, a joint venture between Wisconsin Literacy, Inc., and Anthem Blue Cross and Blue Shield, provides an overview of the issue of health literacy, including what it is, why it matters, what it costs, and what you can do. This online publication is a research-based, how-to guide for creating health web sites and web content for those with limited literacy skills and limited computer literacy. This guidebook includes background, resources, examples and lessons learned to help you build a health literate health care organization.